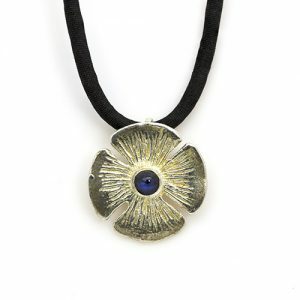 The African Flower Pendant is a beautiful piece which has been crafted in Sterling Silver. 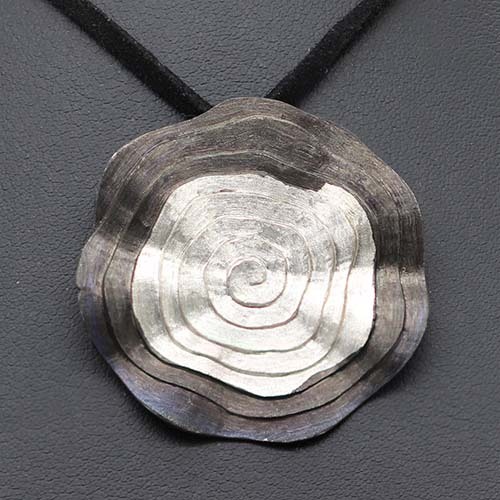 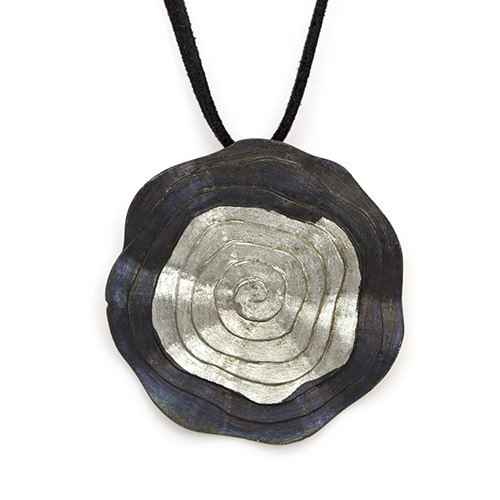 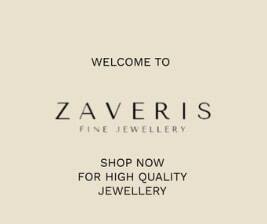 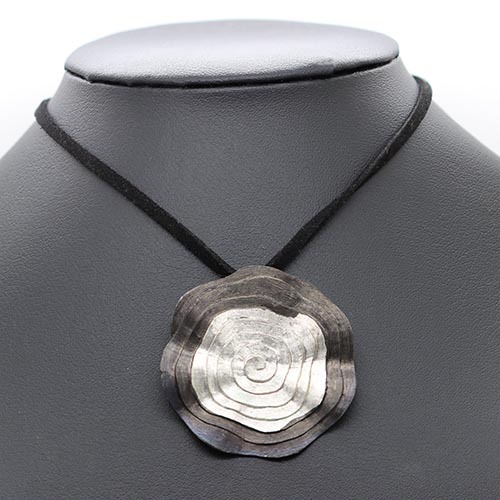 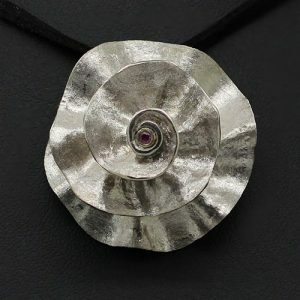 The pendant has a brushed rough finish look and is plated in black Ruthenium and Rhodium for a contrast. 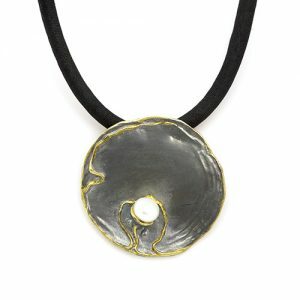 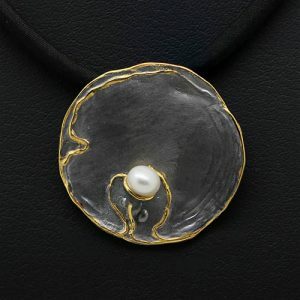 This Necklace comes with an adjustable black cord. 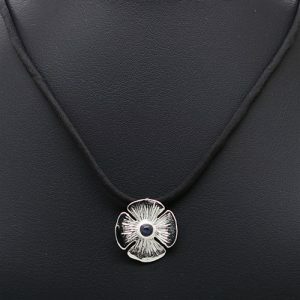 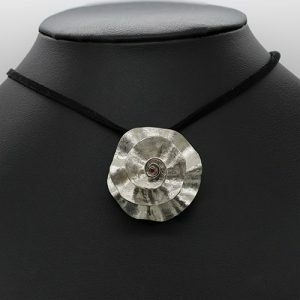 Sterling Silver Large Daisy Sprectrolite Stone Necklace Necklace.